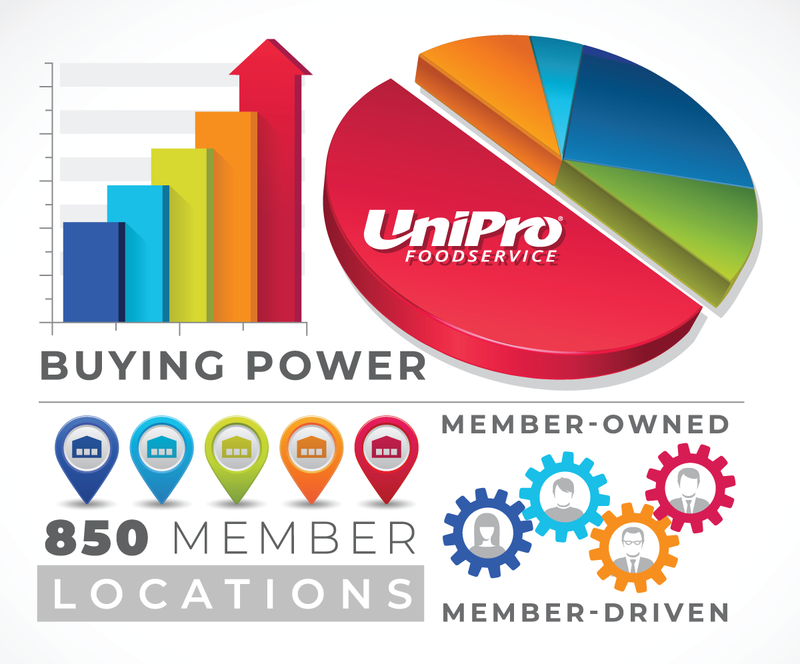 UniPro Foodservice, Inc.® is the largest foodservice distribution cooperative in the United States, with over 850 distribution locations to serve you. Our distributors provide quality foodservice products to over 800,000 customers just like you. This assures you the optimum variety of product, at competitive prices. The UniPro network of distributors is dedicated to be your local market source for quality products and services. UniPro Foodservice purchases worldwide from more than 500 manufacturers. This guarantees we cover all your menu needs. UniPro is typically the largest or second largest customer to the industry. This gives you the greatest variety and guarantees quick access to quality foodservice products.